Sand pit cleaner available from Kennards. KENNARDS Groundcare has just added a versatile and compact walk behind sand cleaner to its hire fleet. 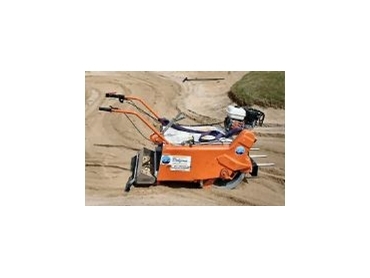 With great maneuverability, the sand cleaner is designed to operate in confined and restricted spaces. It is ideal for sand pit cleaning in children's playgrounds, schools, daycare centres and sports grounds. The cleaner is also suitable for use on beach areas and beach access pathways.